ASX-listed distributor, Hills Limited (ASX:HIL), has appointed David Lenz as CEO replacing retiring boss, Grant Logan, effective 1 September 2016. In moving up from the COO role, Lenz will succeed Logan, who will continue working as a consultant to Hills, assisting in the CEO transition and the completion of certain projects. 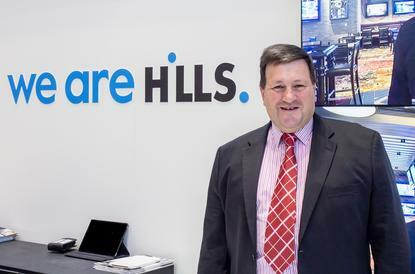 Prior to joining Hills in March 2015, Lenz worked across the distribution town with Ingram Micro, where he spent the last seven years in a number of key roles, most recently heading the Specialty Division, focusing on Security and pro AV. Despite acknowledging challenges at the distributor, Lenz said he was pleased with the way teams had responded, and remains focused on building the blocks for growth during the coming years. According to a statement via the ASX, Lenz' salary will be $350,000 annually plus bonuses which the Hills Board has targeted at $200,000 per year. Bonuses will be paid as 50 per cent cash and 50 per cent performance rights, with Lenz set to receive an Initial Sign-on bonus of 200,000 Hills performance rights. Hills Chairman, Jennifer Hill-Ling, thanked Logan for his "strong contribution" on behalf of the board. “The Board is most grateful for Grant’s time at Hills, especially for his role in helping restructure the Hills group and most recently for providing the guiding hand in helping consolidate the business through the "Back to Basics" program,” she said. “David has over 25 years proven experience in sales, business development, management and operational leadership across Australia and New Zealand, Asia Pacific and the Global ICT markets. "He is well positioned to focus on our "Back to Growth" strategy as we move forward and we welcome him to the Hills CEO position."